Once considered an experimental therapy, lung transplantation is now regarded as a viable treatment option for selected patients with end-stage lung diseases. As more and more of these cases arise, it becomes imperative for those involved in the care of lung transplant patients to have a vast understanding of the multidiscipline process of lung transplantation. This text provides a comprehensive overview of this process covering everything from the history of the lung transplant program to the long term effects of the procedure. 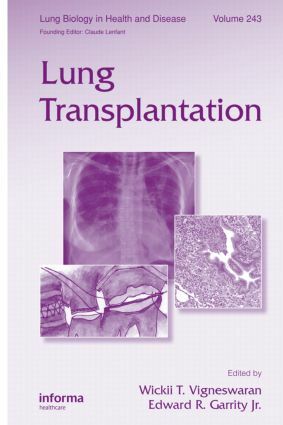 "This concise and easy to read book covers most of the key elements involved in lung transplantation. The information is current and, whenever possible, appropriate algorithms are used."